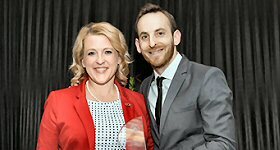 KRKO-AM/Seattle: Mayor Cassie Franklin proclaimed April 17 as ''KRKO Day'' in Everett, WA. KRKO is celebrating it 97th year of broadcasting. 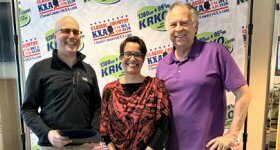 L-R: KRKO owner Andy Skotdal, Mayor Cassie Franklin and morning personality Tim Hunter. 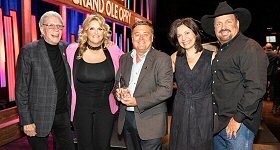 Westwood One: Congratulations to Lon Helton, host of Westwood One's Country Countdown USA and publisher of Country Aircheck, who was honored for his impact on Country music with the Bob Kingsley Living Legend Award during an event held last night, Wednesday, April 10th, at the Grand Ole Opry in Nashville. 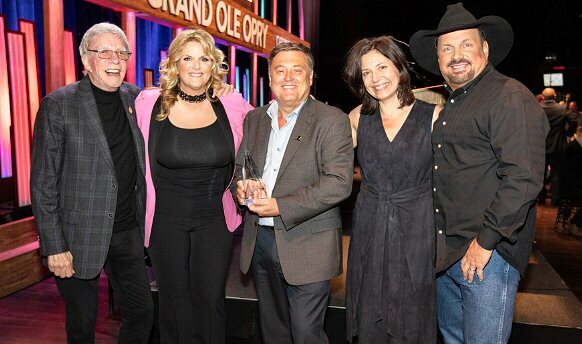 L-R: Bob Kingsley, Trisha Yearwood, Lon Helton, Sally Williams and Garth Brooks. 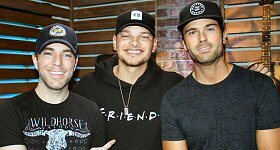 Westwood One: Westwood One Backstage was at the ACM Awards was Friday, April 5 and Saturday April 6 at the MGM Grand in Las Vegas. 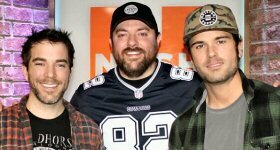 The event featured a two-day radio row, where more than 90 Country stars came to do radio interviews with 25 top Country radio stations. 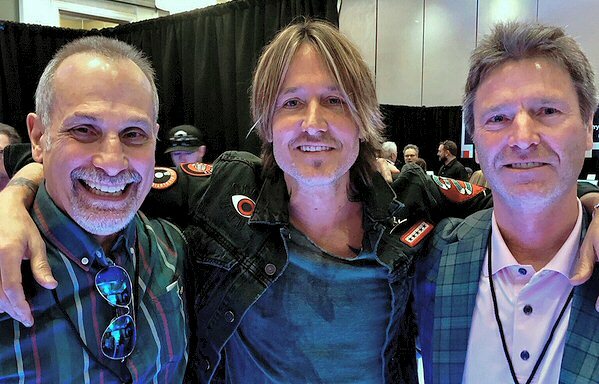 L-R: Keith Urban with NASH Programming and WKDF/Nashville PD John Shomby and Westwood One VP/GM, Music & Entertainment, Country Bryan Switzer. 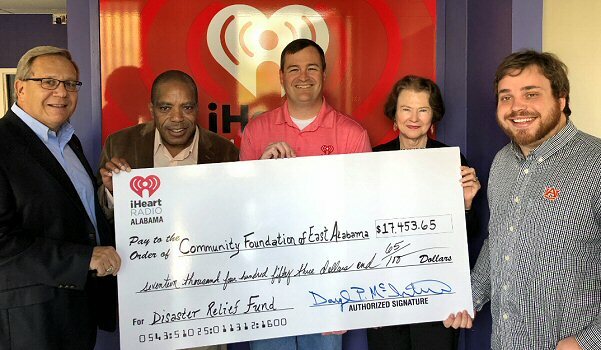 iHeartMedia: iHeartMedia/Auburn, Birmingham, Gadsden and Tuscaloosa presented a check to Community Foundation of East Alabama Executive Director Barbara Patton for the funds raised from iHeartRadio Lee County Tornado Relief. 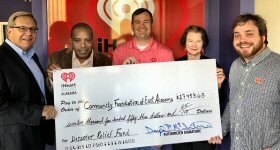 The campaign raised over $17,000 that will go toward tornado relief efforts for Lee County. 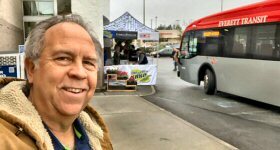 L-R: Market President Daryl McIntire, WZMG morning host Richard LaGrand, SVP Programming Van Riggs, Patton and Mix 96.7 PD Donny Blankenship. 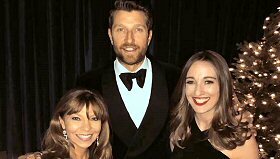 Westwood One: Westwood One's Rick and Sasha (Rick Party and Sasha the Diva) were guests at last weekend's NAACP Image Awards in Hollywood, which honored outstanding performances in film, television, music and literature. 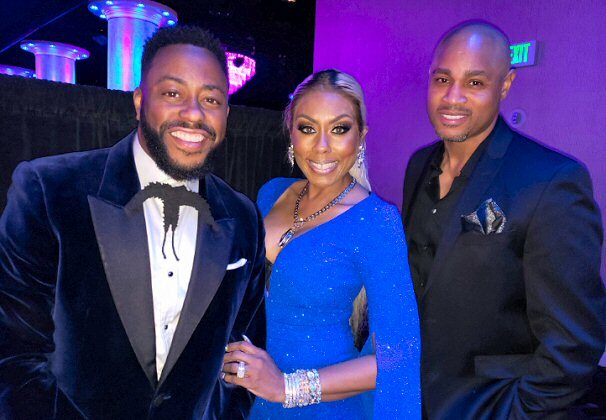 L-R: R&B singer/songwriter Raheem DeVaughn, Sasha and Rick. 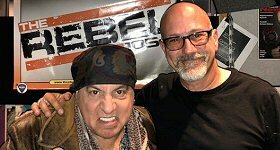 WXTL-FM/Syracuse: Little Steven, host of the Premiere Networks-syndicated ''Little Steven's Underground Garage,'' stopped by his Syracuse affiliate WXTL-FM (The Rebel 105.9) while he was in town for a speaking engagement at Syracuse University on March 18. In addition to visiting with the staff, Little Steven took over the mic for an hour to play some tracks. 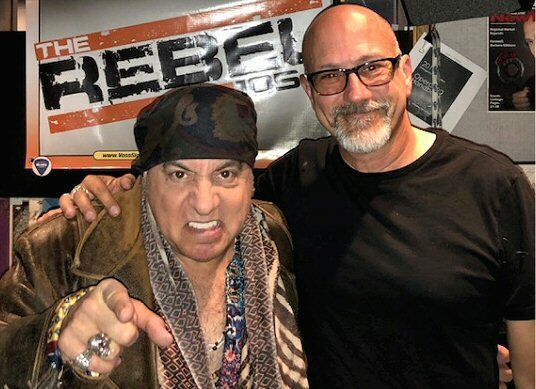 L-R: Little Steven with WXTL-FM Program Director Dave Frisina. 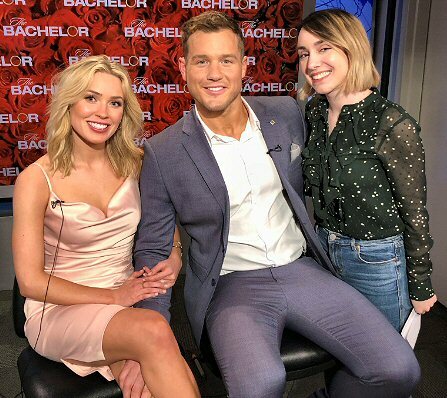 ABC News: ABC Radio entertainment producer Andrea Tuccillo caught up with ''The Bachelor's'' Colton Underwood and Cassie Randolph. 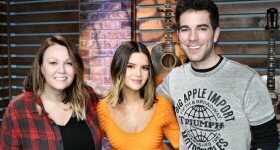 Cumulus Media: Maren Morris has released her sophomore album, ''GIRL.'' 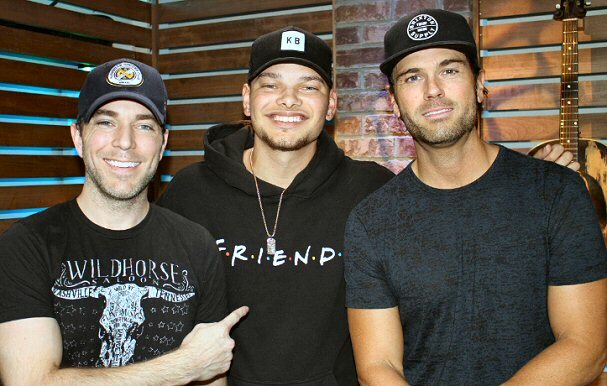 She stopped by ''The Ty Bentli Show'' Monday morning to tell listeners all about the album as well as provide a life update of sorts as she kicks off her GIRL: The World Tour. 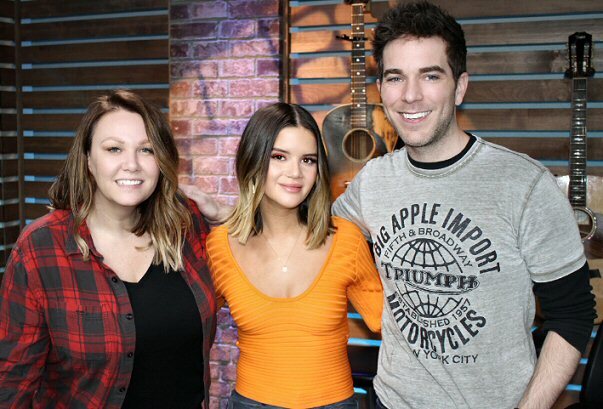 L-R: TJ, Maren Morris and Ty Bentli. 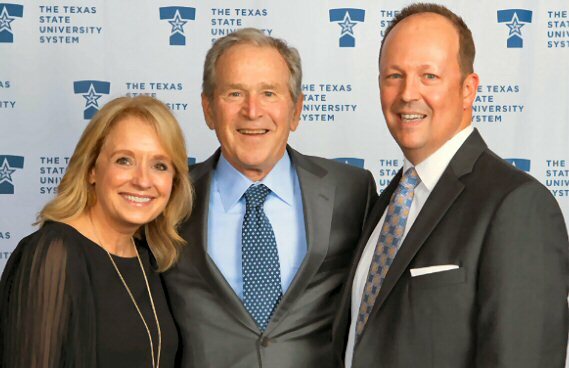 WAY-FM: WAY-FM Mid-South Regional Manager and Dallas-Forth Worth GM Tim Dukes and his wife Susan attended a fundraiser in Austin, TX on February 6th where the 43rd U.S. President George W. Bush was the featured guest. 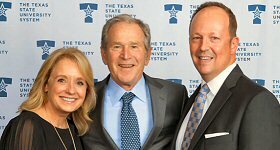 TOC: Nashville-based syndicated ''Taste of Country Nights'' host Sam Alex returned to his alma matter for Founders Day to receive the ''Outstanding Young Alumni Award.'' 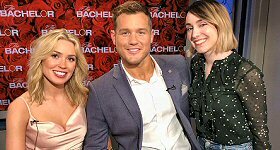 The program airs nightly on 100+ U.S. affiliates. 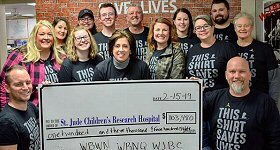 Cumulus Media/Bloomington: WBWN-FM, WBNQ-FM and WJBC-AM/Bloomington, IL, completed its 11th Annual Country Cares for St. Jude Radiothon on Thursday, February 14th and Friday, February 15th. 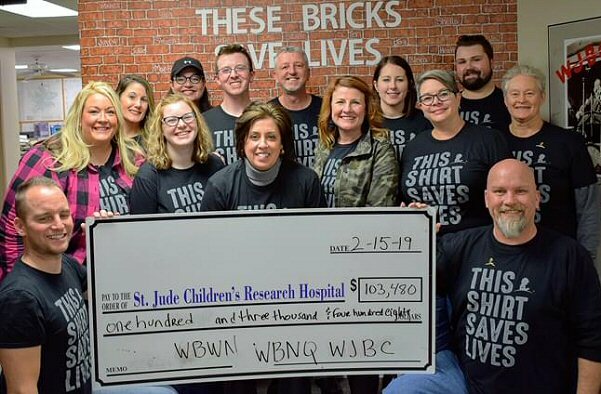 This year's event raised $103,480 for the kids of St. Jude Children's Research Hospital. 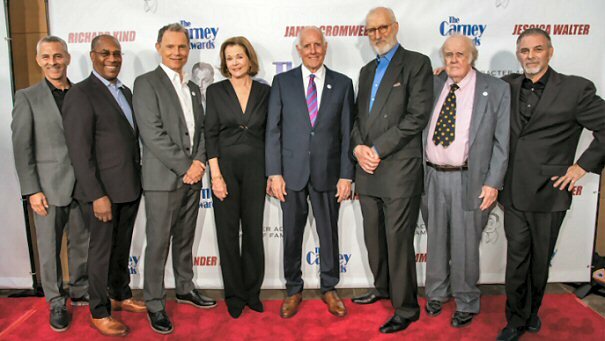 Back Row L-R: Lyndall Campbell, Susan Saunders, Ian Hunter, OM/PD Dan Westhoff, Dana Bell, Andrew Wegrzynski. Middle Row L-R: Faith Rinker, Kenzie Anderson, Sue Goodwin, ALSAC's Jill Libert, VP/Market Manager Paula Williams, Ruth Nichols. Front Row L-R: Cody West and Buck Stevens. 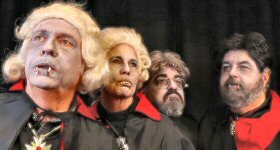 Bob and Tom Show: It was a bloody great President's Day at "The BOB & TOM Show," as host Tom Griswold and cast members Kristi Lee, Josh Arnold and Chick McGee paid tribute to President's Day with one ''monster'' of a celebration and their take on Mount Rushmore as Count Rushmore. 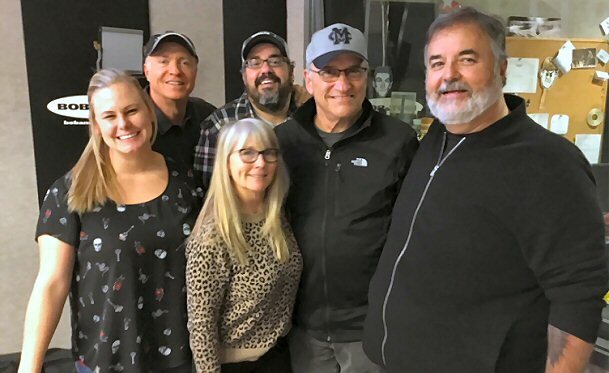 L-R: Tom Griswold, Kristi Lee, Josh Arnold and Chick McGee. 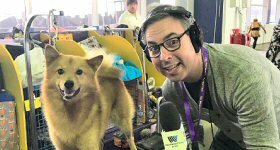 Westwood One News: It was a ruff day for Westwood One News. 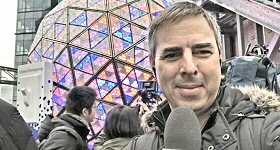 On eve of his coverage of the Westminster Kennel Club ''Best in Show'' award, which will be announced Tuesday night February 12, WWON's New York Bureau Chief Steve Kastenbaum gets in some interviews at Madison Square Garden. 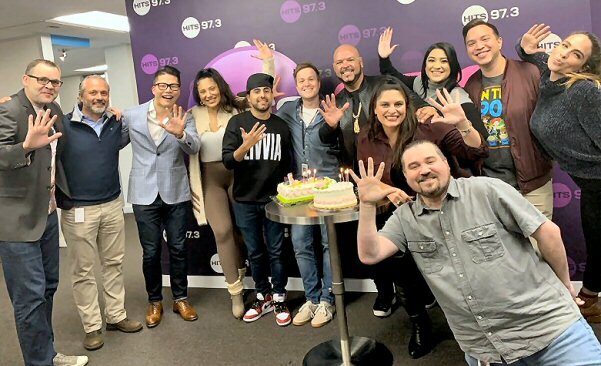 WFLC-FM/Miami: Hits 97.3 turns five years old on January 17 and an All-Star Team photo was taken to commemorate the anniversay. L-R: Format Leader Jeremy Rice, Market General Manager Ralph Renzi, VP/Audience & Content for Radio Tim Clarke, afternoon talent Kimmy B, night jock Al-P, DJ Laz morning producer Bryan Carstensen, DJ Laz, Director Of Operations & Programming Jill Strada, Assistant Director of Branding & Programming/Music Director Dave Hanson, DJ Laz morning co-host Janetzy, afternoon personality Kelbin Ramirez and midday jock Dia Ryan. 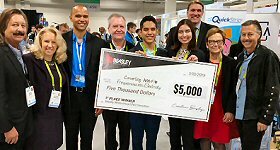 Beasley Media Group: Beasley Media Group, in collaboration with the University of Nevada, Las Vegas, unveiled the winners of the Media Innovation Hackathon initiative at CES 2019. 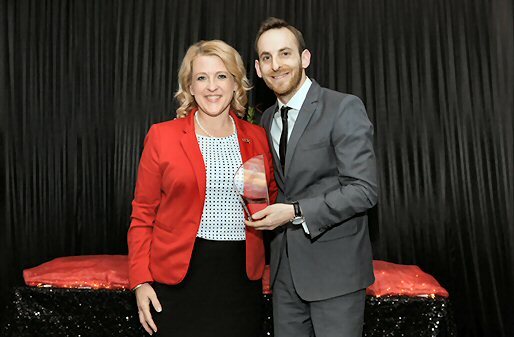 The awards ceremony took place on Thursday, January 10 at the UNLV Office of Economic Development booth. 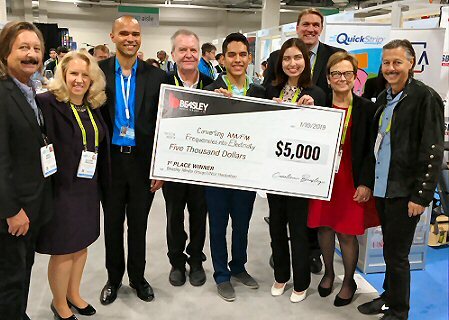 L-R: Bruce Beasley, UNLV's Dr. Mary Croughan, CTA Senior Director of Innovation & Trends Ben Arnold, BMG's Buzz Knight, UNLV students Erick Serrano & Yuria Mann, UNLV's Zach Miles, UNLV Provost Diane Chase and Brian Beasley. 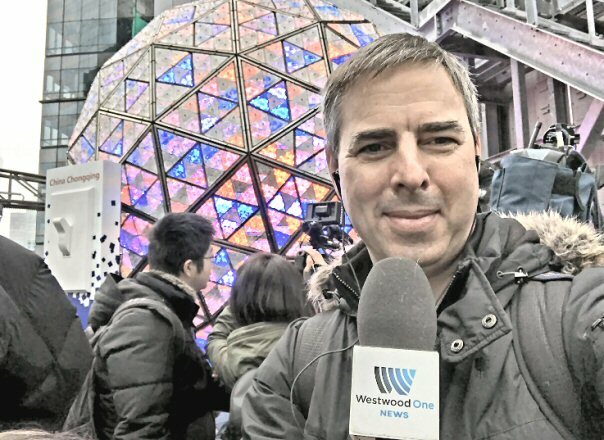 Westwood One: Westwood One News correspondent Steve Kastenbaum in midtown Manhattan covering the New Year's Eve rehearsal for the annual ball drop in Times Square. 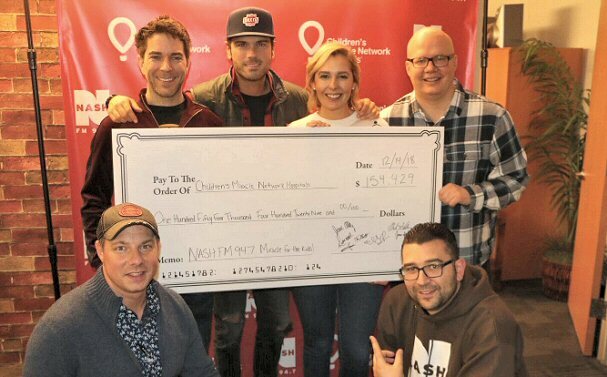 WNSH-FM/New York: NASH FM 94.7 in New York raised a total of $154,429 for Children's Miracle Network through its ''Miracle for the Kids'' live radio broadcast on Friday, December 14. 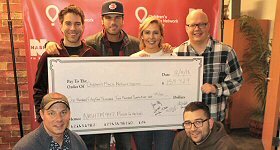 Left to Right, Top Row: Ty, Kelly and Chuck's Ty Bentli and Chuck Wicks, and NASH FM 94.7 personalities Katie Neal and Jesse Addy. 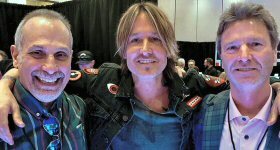 Left to Right, Bottom Row: NASH FM 94.7 Program Director John Foxx and Assistant Program Director Mike Allan. 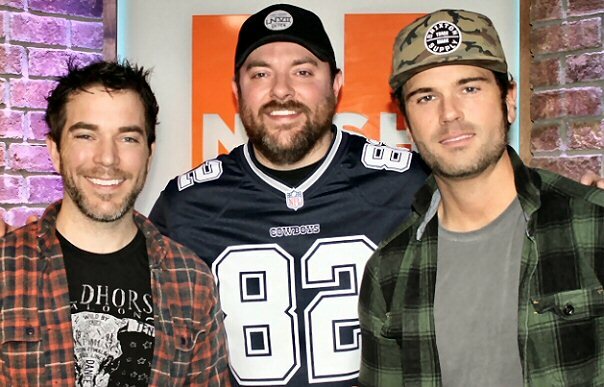 WIL-FM/St. 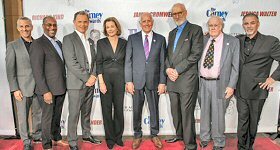 Louis: for the third consecutive year, Bud and Broadway collected a record number of ''Bikes, Balls and Barbies'' 10,000 Toys for Girls and Boys. 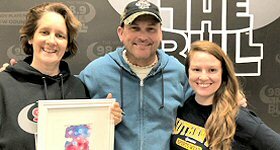 The New Country 92.3 Home Team collected more than 10,000 toys during the 36-hour weekend toy drive, benefitting the patients at Shriners Hospitals for Children St. Louis. 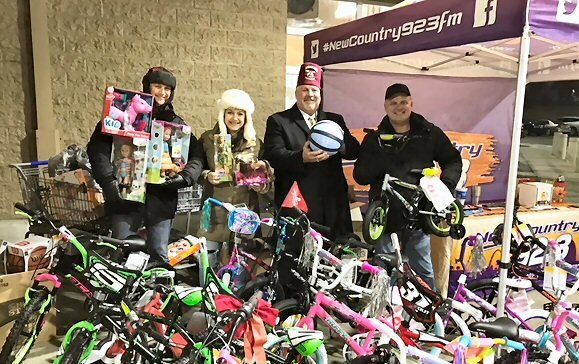 Bud and Broadway and the New Country 92.3 Home Team collected toys over two days in order to bring joy (and toys) to kids at Shriners Hospitals for Children over Christmas. 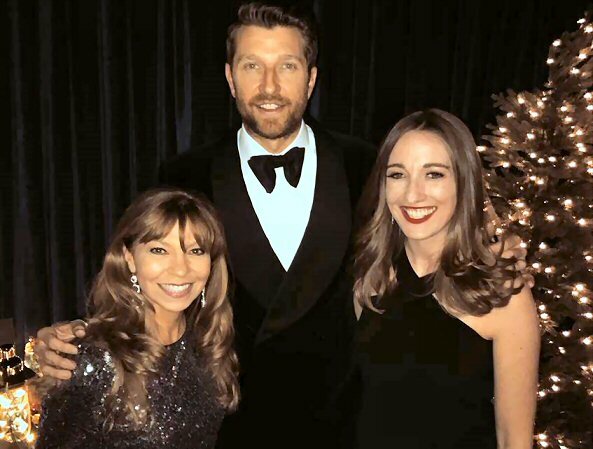 WBWL-FM/Boston: WBWL Program Director Ginny Brophey and WBWL midday host Jessica Callahan with Brett Eldredge at his sold out ''Glow'' holiday concert Tuesday night at the Beacon Theater in New York. 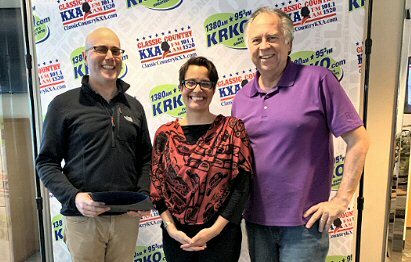 WBAL-AM/Baltimore: WBAL Radio and Hearst Stations announced the completion of a new studio for WBAL Radio. 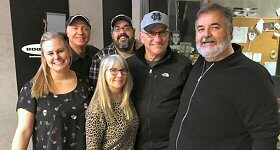 After many faithful years of service, the old studio was taken apart, walls were removed to make more room, and a new, multi-media facility was built. This new WBAL Studio space is based on Wheatstone Audio-Over-IP technology, using the latest LXE Console from Wheatstone. The console is designed to be fully flexible, with almost all buttons able to be custom programmed for the needs of the station. 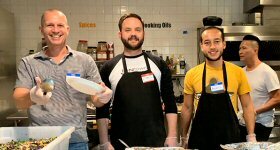 Benztown: The Benztown Brigade was out in full force serving dinner to the guests at the Hollywood Food Coalition. 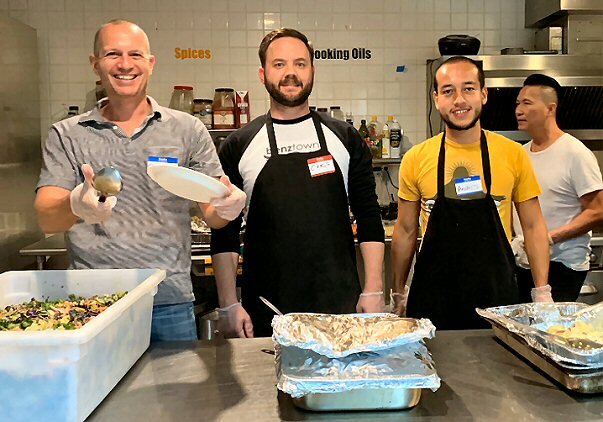 The Hollywood Food Coalition serves a hot dinner every single night, rain or shine to approximately 130-200 people in need. 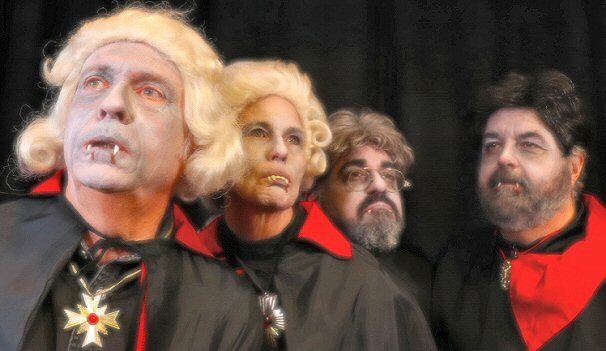 L-R: Benztown's Chris Johansing, Dave ''Chachi'' Denes and Susan Aksu, as well as fellow volunteer, Andres. 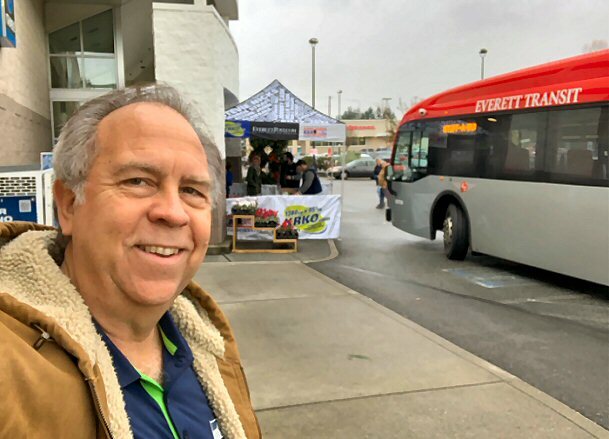 KRKO-AM/Seattle: KRKO morning man Tim Hunter invites listeners to help the Volunteers of America Stuff a Bus for Neighbors in need. A three weekend drive that will help thousands of area families in need. 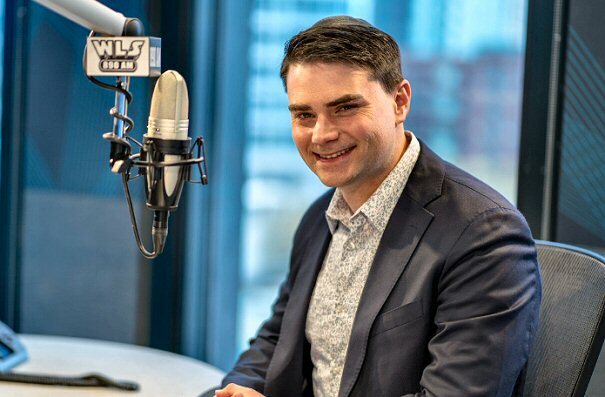 WLS-AM/Chicago: Westwood One talk and podcast talent Ben Shapiro, recently named the inaugural recipient of the Radio Hall of Fame's ''The One to Watch'' recognition award, stopped by WLS-AM in Chicago on Monday, November 12, and did his podcast in front of a live studio audience. 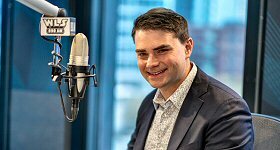 He also announced to the crowd that his radio show would now be airing on WLS. 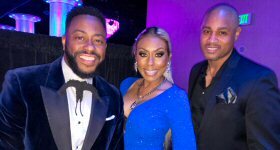 WBAV-FM/Charlotte: V101.9 air personality Fly Ty (left) helps give away turkeys at ''The Steve Harvey Morning Show Annual Turkey Give'' in Charlotte. Harvey and Premiere Networks gave away more than 8,000 turkeys as part of the annual Turkey Give. 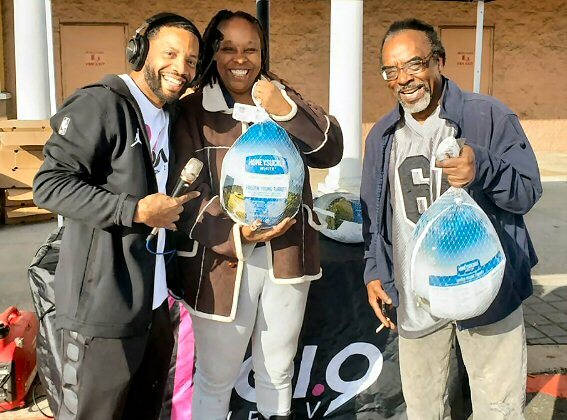 Affiliates of the syndicated morning show gave the turkeys away to help those less fortunate celebrate the Thanksgiving holiday. 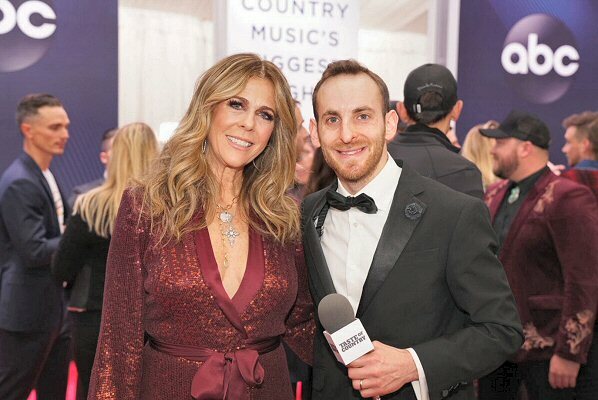 Townsquare Media: Actress/singer Rita Wilson chatted with ''Taste of Country Nights'' host Sam Alex on the CMA Awards Red Carpet in Nashville last Wednesday evening. 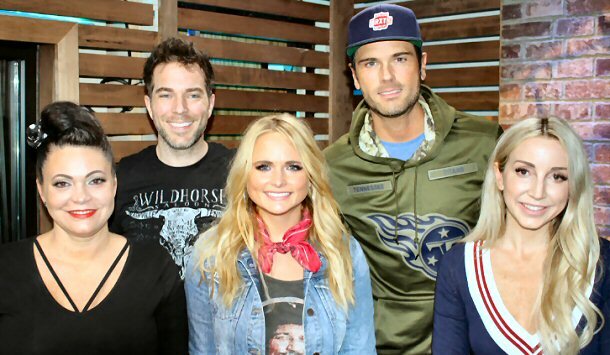 Cumulus Media: The Pistol Annies (made up of Miranda Lambert, Ashley Monroe and Angaleena Presley) stopped by ''Ty, Kelly and Chuck'' studios in Nashville -- ahead of their headlining show at The Ryman Auditorium -- to talk new music, performing together and more. 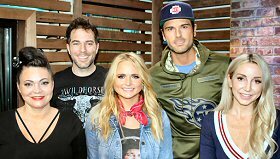 L-R: Angaleena Presley, Ty Bentli, Miranda Lambert, Chuck Wicks and Ashley Monroe. 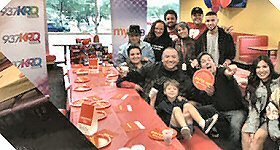 KRQQ-FM/Tucson: iHeartMedia Tucson team decided to team up with Peter Piper Pizza to re-celebrate Teddy's 6th birthday party. Recently, Teddy's mom had invited 32 of his classmates to his pizza party on Sunday afternoon and no one showed up. After ABC15 posted the picture online the imaged quickly surfaced the Internet making it viral. 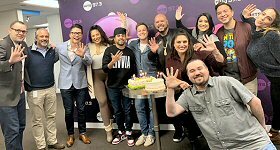 Hundreds of people reacted to this story, reaching out from all over the world to wish Teddy a Happy Birthday via social media. 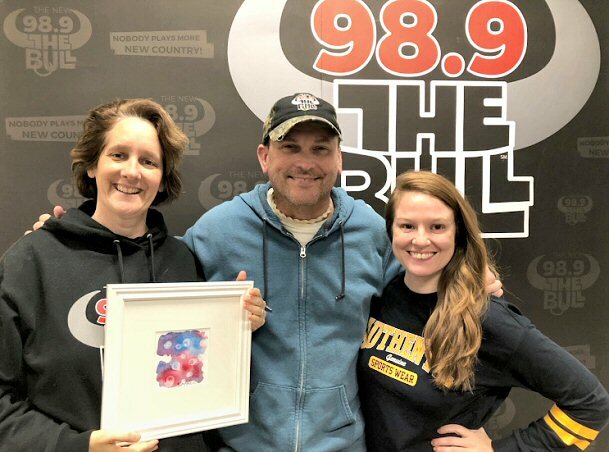 KNUC-FM/Seattle: Collaborating with the Auburn Valley Humane Society, The New 98.9 The Bull's Tim, Red and Claire held a fundraiser on-air from 5-9am for a painting a painting which Tim Leary named "Starry Starry Jameson." 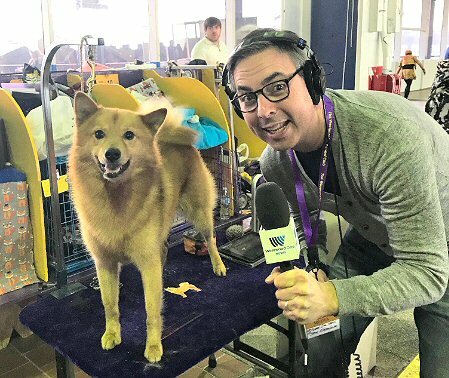 In just four short hours, The Bull Morning show raised $2,006 to benefit The Auburn Valley Humane Society. Claire Beverly's wife Shar used a bottle of Jameson Whiskey in place of denatured alcohol and created the painting.